Trying to meet editorial deadlines is always a challenge in the publishing business. Add Hurricane Matthew which will probably sever my electric connection to the power grid later today here in Miami and you can understand why I am typing as fast as I can! Maybe I should send this article via smoke signals? Over my 33 year year career of practicing medicine I saw thousands of different animals within the same breed-dog or cat. I realized that each animal was different just like people are. I finally put my thinking cap on and realized that the hair-coat color of certain breeds of dogs influenced their overall personality as a group. There were always exceptions to the rule but what you are about to read are regularly seen in this fascinating community of individuals within a breed. Read on! 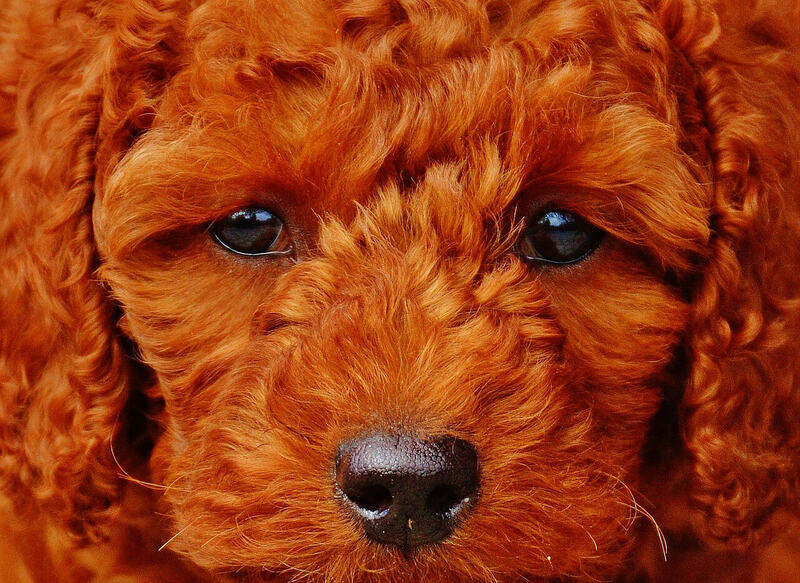 The personality of pets varies within the breed but the apricot colored Poodle is a true sweetheart! 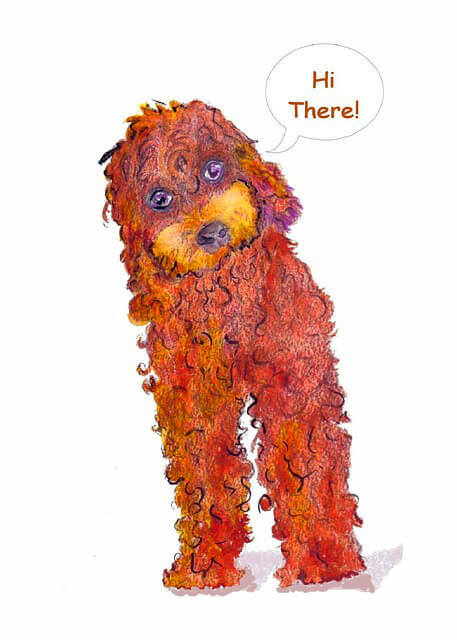 Poodles are very active little creatures. They make excellent, little guard dogs due to their shrill bark that alerts owners to just about anything- including a ringing door bell. They often do better in a household without children. They are fragile yet often do not care for little toddlers. This all goes out the window with the apricot Poodle! They are so gentle and get along great with kids. When they wag their tail the entire dog wags. Over the years their docile personality has won many a heart as a loyal little house pet. What can you say about the Labrador Retriever? 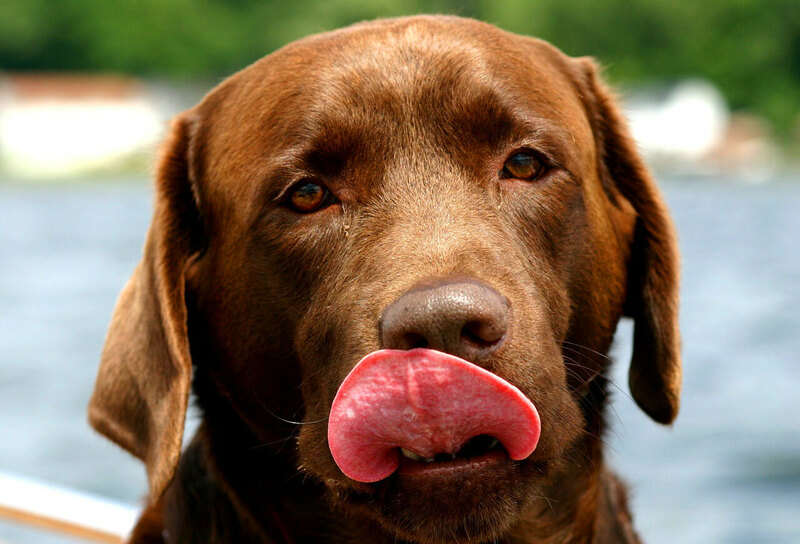 When it comes to the personality of pets the Labrador Retriever has to be one of the most active dogs around. They have the energy of a toddler and for that reason they need to be housed in an suburban or rural environment so they can get appropriate levels of exercise. This is a breed of dog that you do not want to house in an apartment complex. As a whole they all need training but due to their stubborn streak they tend to be the top breed of dog that fails obedience training. The chocolate lab may exhibit all of those traits but as a general rule is much more docile than the black Labrador Retriever. The way it goes is that the chocolate is more docile than the yellow which is more docile than the black retriever. Chocolates are sought after more frequently than the others due to this trait plus the beauty of their coats. Part of this is due to genetics. Black is a dominant color. You will get a few chocolates when breeding a black and yellow lab but if you want ALL chocolates you need to have both male and female of that color to have all chocolate progeny. Chocolate Labs just meander around but are loved by all. If anyone should know about Miniature Schnauzers it is me. I grew up with a salt and pepper Minnie Schnauzer. 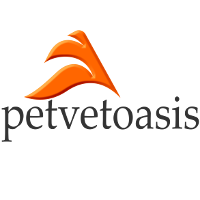 They are fantastic, spunky dogs with tons of personality. That is why they are so popular in this country. What is not so desired is that ear piercing, shrill bark of theirs. Any conceivable noise will set off this little dog. Terriers are all popular because none of them shed. I owned one for a dozen years in Ohio and it was pretty quiet. 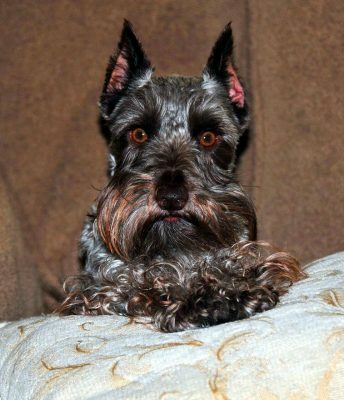 All dogs bark and do so for a reason yet the black Miniature Schnauzer was not as hyper as the salt and pepper variety. Many of the black Schnauzers I worked on even tolerated visits to me. They would just stand on the exam room table with a look of resignation. Not the salt and pepper! The varied personality of pets is exhibited Chihuahua dogs. They are really sweet, little dogs deep down but they can hold their own against dogs much larger than themselves. This can get them into trouble if they push their luck. 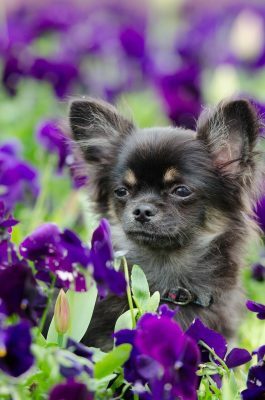 The short-haired, single colored Chihuahua tends to be a boisterous dog that generally prefers one person in the home. Chihuahua dogs tend to prefer women. Even the deep voice of a man can get any Chihuahua shaking in its boots. Even looking at a Chihuahua will make it shake! The long-haired, multi-hued animals are ultra sweet and love to cuddle with their owners. All of them are active, little dogs but the long-coat takes the prize for its overall sweet demeanor compared to the short-coat version. 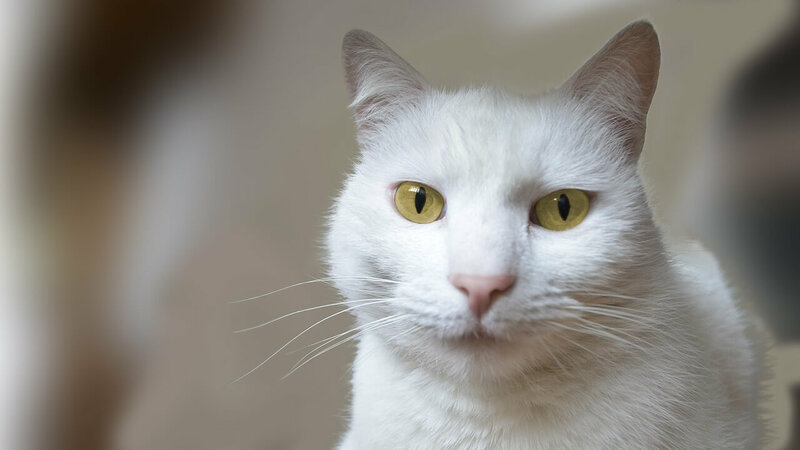 There is something flighty about white colored cats that is difficult to put a finger on. You never know what they are going to do. All cats tend to always be on guard that someone is going to come out of the shadows and attack them. That is why cats are generally paranoid. Just watch a cat put in any strange situation. They crouch, lurk and look around with their pupils dilated in fear. Any white colored cat can be more extreme in its aloofness and temperament. It doesn’t matter if it is an white Angora, white Persian or your typical white tabby cat. Some of this aloofness or irritability may be due to the fact that handfuls of white cats have a single blue eye. A few even have eyes that are both blue. The former has a tendency to deafness on the side of the blue eye while they are completely deaf when both eyes are blue. Not being able to hear can cause a change in their personality.